A long-lasting research dedicated to the exploration of emotions. 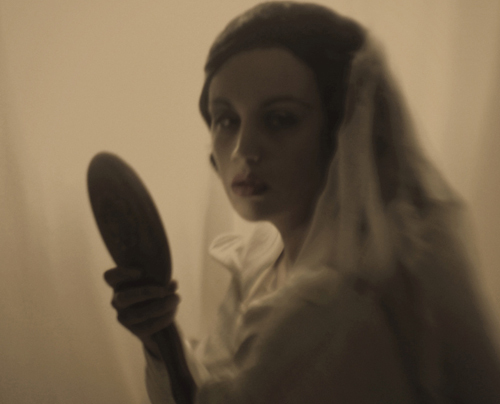 The photographic path attempts to make tangible the supernatural through the communicative power of the mirrors. The self-portrait as form of art to find herself and to express the complex universe of inner humanity. 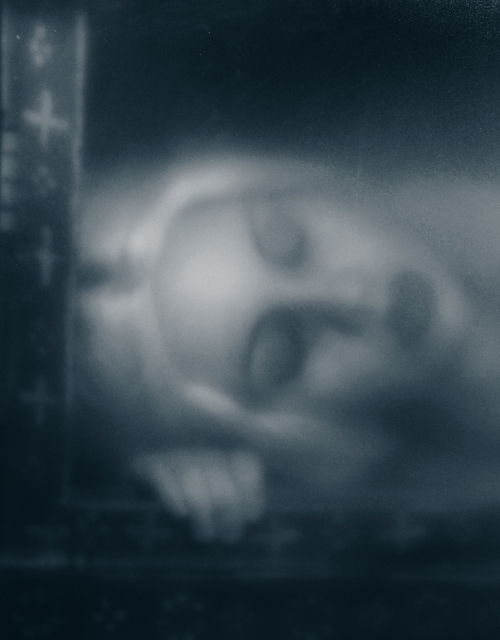 Halfway between photography and religious rituals, Kalliope Amorphous, photographing her moods and turns them into powerful visual, rich and evocative art. 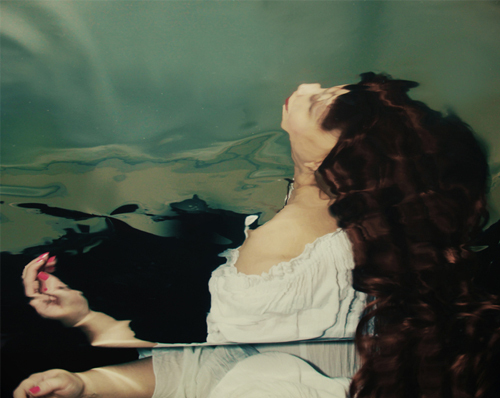 Photographer, fashion designer and model, Amorphous explores the identity of the mythological water and mirrors, of life and death, white and black. She tells Enquire the shadows of his life through beautiful images. The self-portrait as form of art. When you have found out to be the perfect subject for your shots? I initially started using myself as the subject of my photographs out of convenience. Eventually, I realized that self-portraiture was the only way that I could have absolute control of my visions while at the same time keeping the emotion behind them as authentic as possible. Eventually, being part of the photographs became an integral part of the process. Also, it’s very important for me to be able to work alone. For this reason, I could never be a commercial photographer. The whole process evolved into something very private and solitary. The inspiration for your work: Famous artists, everyday life or moods? What are your sources? My inspiration usually comes from my own experiences, observations, the way that I process things emotionally, and the need to make these emotions and feelings tangible and fixed in some way. I feel things very deeply and it is overwhelming at times. Visual art is a way for me to buffer the intensity and emotional complexity of my inner world by turning it outward. In your photography you blend alienation and anxiety, the perfect combination of a vivid imagination and the most melancholy of reality. Your need to photograph comes from the desire to tell a story, capture a moment or to represent a state of mind? It’s a combination of all three of those desires. There is, of course, a strong element of storytelling, but I also have a very strong desire to try and capture the intangible and present it frozen within a single moment. The primary source is probably my need to externalize inner worlds and invisible worlds in a visual way. Ultimately, what I am always trying to do is materialize the invisible. I was a poet before I was a visual artist, so I tend to think poetically when composing and creating imagery. I have always viewed photography as visual poetry. Your creative career spans into genres maintaining balance reference the visual and psychological abstraction. 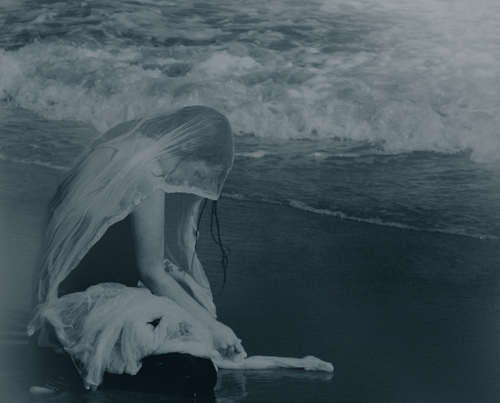 Sometimes you portray a fairy trapped in a limbo, in other you re-image the evanescent fame as a ghost and still others choose water as a memento of birth and death. What is your research and what is your aim? The closest that I have come to trying to describe my aim in this work can be found in the principles of Butoh performance. When I read Tatsumi Hijikata for the first time many years ago, it was the first time that I heard what I am doing in this work articulated so clearly. It felt like coming home. 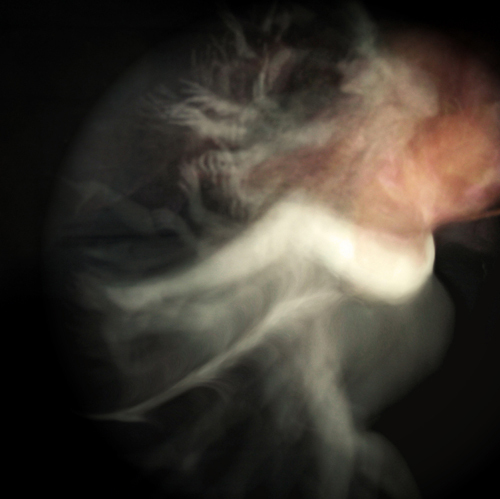 I follow many of the same principles of Butoh in my work, except that I am working with a still image. Hijikata developed image-based methods for expressing a connection to nature, animals, and spirits of the dead. He developed ritual-like practices for accessing shamanic-like trance states to create an empty vessel for the art to move and manifest. The entire process was unplanned and improvised from one moment to the next. 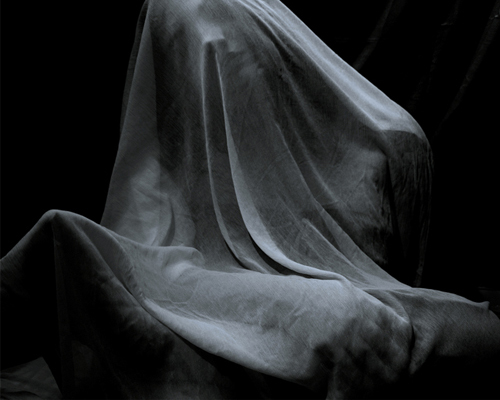 In Butoh, there is a strong emphasis on birth, death, the pre-verbal, the primal, and the exploration of shadow. 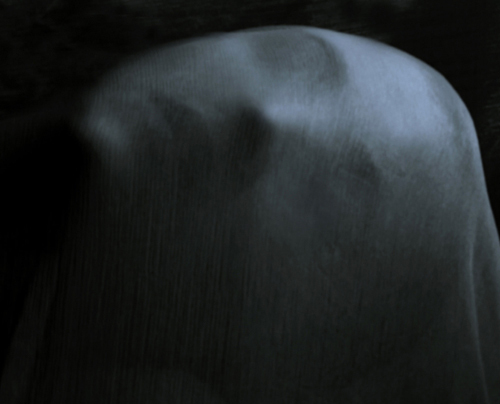 The Butoh dancer exists in a type of trance-like state or state of possession in order to journey into these landscapes. My process is very similar and I work from a very similar place. There are strong parallels between my creative process and my spiritual practice. The perfect distortion is the protagonist of one of your recent work, in “Glass Houses” you focus the attention on the research of human emotions in the form of image. The light, a flexible mirror and your camera have been enough to imagine fear, desire and vulnerability. Explain the idea, the creative process and the choice of the shots that best represent the primordial concept from which you started. I am very interested in the mythology of mirrors and reflective surfaces throughout history. This is why I am also very drawn to water. In many cultures, reflective surfaces were believed to be a portal between the worlds of the living and the dead. The camera and the mirror are similar of course, and I am fascinated by the interaction between them. In Glass Houses, I was interested in the unpredictability of using a flexible mirror and capturing split-second distortions of a particular emotion or persona. 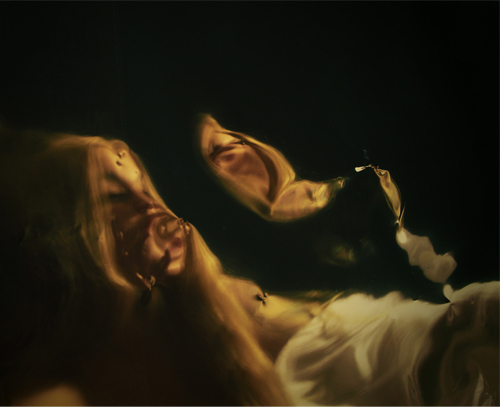 I would pose with a certain persona or emotion in mind and take ten to twenty exposures of the mirror in flux. I would begin by literally “posing” a question. Inevitably, there was always one exposure that seemed to perfectly answer to or embody it. The unpredictability of that process and the astounding amount of synchronicity is what I loved most. I was posing questions and receiving answers in the form of a visual. It began to feel like a form of divination. Dream and catharsis. Identity, time and consciousness. These themes succeed in your experimentation that leaves a lot of space to a number of questions about human nature and the significance of your works. What emotions do you want to evoke in the viewer? We are so absorbed in the superficial, in the surfaces of things, in facades. If my work successfully evokes something beyond that and allows a glimpse into something more primordial then I’m happy. A surname that seems to parrot your photographs. You are an artist, a photographer but also a young woman. 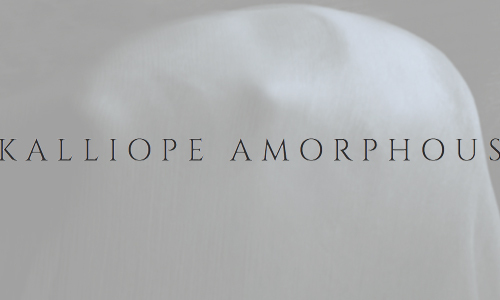 Who really is Kalliope Amorphous? My surname is based on my hyperawareness of identity as something mutable and form as something fleeting. I feel that I am most authentic when I am able to drop form in the shamanic sense. This concept of being amorphous is also related to the importance I place on embracing duality and the conscious integration of contradiction. 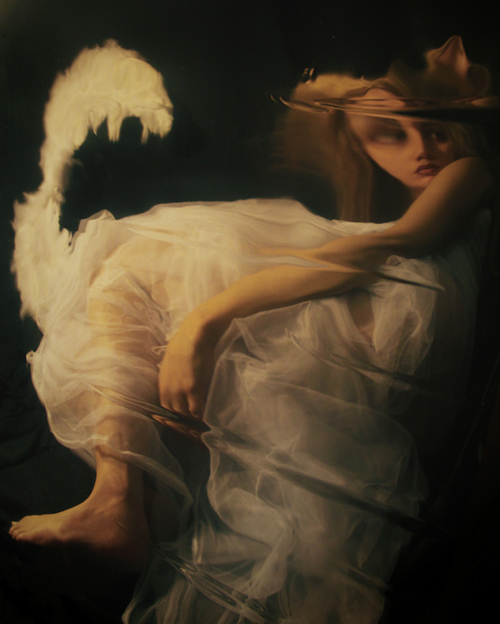 This is probably why my work usually reflects themes of dark and light, beauty and horror, birth and death. I am constantly searching for ways to integrate and contain opposites. 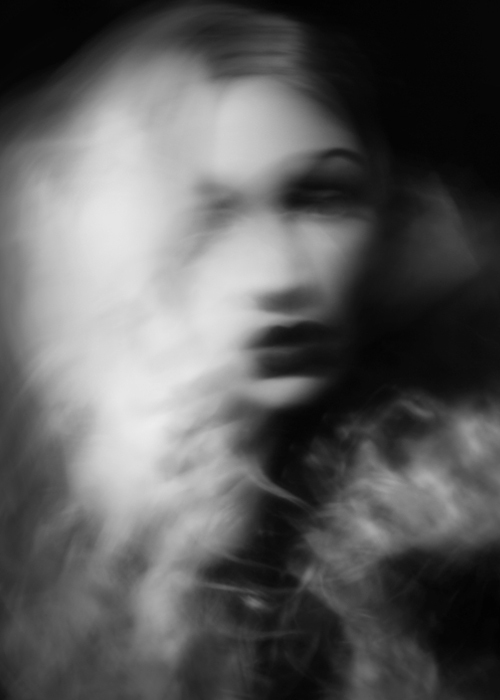 I am also constantly searching for a way to come to terms with the temporal nature of things, which is why there is always a focus on decay, disintegration, and abstraction in both my self-portraits and experimental photography. When I first started on this journey many years ago, I was certain that I was separate from the work. In early interviews I was adamant that these images did not represent me at all. As I age, I see that it is exactly the opposite. My self-portraits represent the entire trajectory of my inner world and life experiences. I’m not separate from the work at all. Who am I really? I am a somewhat misanthropic artist. My life is unconventional in almost every sense. I feel everything intensely. I have a wide and dark sense of humor. I’m brutally honest. I am easily passionate and just as easily bored. Art is not something that I do in my free time, but it’s the way that I live my life 24 hours a day. I am almost 40 years old. I am tied down by very little and I am grateful that my life evolved in such a way that art could be the main focus of my life. This year I hope to complete a project using mirrors that belonged to one of the most renowned actresses of the 20th century. It’s a project that I’m very excited about, but I’m waiting for the time to feel right in order to begin working on it. I am also going to expand the flexible mirror technique that I used in “Glass Houses” and do more work with that particular method. I really love the process and I feel that rather than limiting it to one series, the process is going to feature heavily in my future work.